Background: Currently available over-the-counter cough remedies historically have been criticized for lack of scientific evidence supporting their efficacy. Although the first-generation antihistamine diphenhydramine is classified as an antitussive by the United States Food and Drug Administration, to the authors’ knowledge it has never been shown to inhibit cough reflex sensitivity in subjects with pathological cough. Objective: To evaluate the effect of diphenhydramine on cough reflex sensitivity. Setting: Montefiore Medical Center, an academic medical center in New York City. Methods: Twenty two subjects with acute viral upper respiratory tract infection (common cold) underwent cough reflex sensitivity measurement employing capsaicin challenge on 3 separate days, 2 h after ingesting single doses of study drug (to coincide with peak blood concentrations), administered in randomized, double-blind manner: a multicomponent syrup containing diphenhydramine (25 mg), phenylephrine (10 mg), in a natural cocoa formulation; dextromethorphan (30 mg) syrup; and, placebo syrup. The standard endpoint of cough challenge was used: concentration of capsaicin inducing ≥5 coughs (C5). Main outcome measure: Effect on cough reflex sensitivity (C5). Results: A significant difference (p = 0.0024) was established among groups, with pairwise analysis revealing a significant increase in mean log C5 (0.4 ± 0.55 (SD); p < 0.01) for the diphenhydramine-containing medication versus placebo, but not for dextromethorphan versus placebo. Conclusions: Our results provide the initial evidence of the ability of diphenhydramine to inhibit cough reflex sensitivity in subjects with acute pathological cough. Timing of cough reflex sensitivity measurement may not have allowed demonstration of maximal antitussive effect of dextromethorphan. This study was presented in abstract form at the European Respiratory Society Annual Congress, September 8, 2014, Munich, Germany. Over-the-counter (OTC) cough and cold medications have long been criticized for lack of evidence supporting their efficacy. This study demonstrates that diphenhydramine indeed inhibits cough reflex sensitivity. Diphenhydramine, a commonly-used first-generation antihistamine in the US, is rightfully also classified as an antitussive (cough suppressant) in the United States Food and Drug Administration (FDA) OTC monograph. Cough is the most common complaint for which patients in the United States seek medical attention . Although billions of dollars are spent annually on non-prescription, OTC cough preparations, scant evidence exists supporting the efficacy of these drugs as antitussives . Three non-narcotic oral agents are listed as antitussives in the United States Food and Drug Administration (FDA) Final Monograph for OTC Antitussive Drug Products: chlophedianol , dextromethorphan , and the first-generation H1-antihistamine, diphenhydramine . Chlophedianol was first introduced as an antitussive in Germany in the 1950s, but very little published literature supports its efficacy . Dextromethorphan, also available since the 1950s, is the most commonly used OTC antitussive in the United States and many other areas of the world. Although published studies exist demonstrating the ability of dextromethorphan to inhibit experimentally induced cough in healthy volunteers and to diminish pathological cough, most of these investigations are decades old and lack the more robust objective and subjective end points employed in current antitussive trials . Diphenhydramine has been shown to inhibit citric acid-induced cough in healthy volunteers , as well as to diminish pathological chronic cough relative to placebo . Furthermore, the guidelines of the American College of Chest Physicians (ACCP) recommend the combination of a first-generation H1-antihistamine and a decongestant as the treatment of choice for chronic cough due to upper airway cough syndrome (formerly known as postnasal drip syndrome) and acute cough due to the common cold , though this recommendation is based largely on a vast body of clinical experience and expert opinion, in the absence of adequately powered, prospective, randomized, controlled clinical trials . Acute cough due to viral upper respiratory tract infection (URI; common cold) accounts for the majority of the approximately 27 million cough-related health care provider office visits annually in the United States , as well as the significant cost of OTC products purchased to suppress troublesome cough. Yet, to the authors’ knowledge, none of the three FDA-approved OTC antitussive products (chlophedianol, dextromethorphan, and diphenhydramine) has ever been shown to inhibit experimentally induced cough in subjects with acute cough due to URI. Capsaicin, the pungent extract of red peppers, has been shown in over three decades of clinical experience, to induce cough in a safe, dose-dependent and reproducible manner . Thus, capsaicin cough challenge testing has become an important tool in clinical research, allowing for the accurate measurement of the effect of a pharmacological intervention on the sensitivity of the cough reflex [9, 10]. The standard end point measured in capsaicin cough challenge testing is the concentration of capsaicin inducing 5 or more coughs (C5). In healthy volunteers, this end point has been demonstrated to be highly reproducible, in the short-term (20 min to 14 days) and long term (months to years) . Recently, it has been demonstrated that cough reflex sensitivity, though transiently enhanced during acute URI, remains stable in the first week of illness . Thus, in a clinical trial, any changes in cough reflex sensitivity observed during this period may be attributed to the pharmacological intervention being studied, rather than to spontaneous variation in cough reflex sensitivity . To evaluate the effect of a diphenhydramine-containing, multicomponent syrup, compared with a dextromethorphan-containing syrup and placebo, on cough reflex sensitivity in otherwise healthy subjects with acute URI. The study protocol was approved by the Institutional Review Board of Montefiore Medical Center, Bronx, NY. Otherwise healthy adult nonsmokers with the onset of symptoms consistent with acute viral upper respiratory tract infection (URI) within the previous 72 h were recruited and enrolled after providing informed consent. The study protocol was approved by the Institutional Review Board of Montefiore Medical Center, Bronx, NY. Subjects did not have a history of asthma or other pulmonary disease, nor history or symptoms suggestive of gastroesophageal reflux disease. Subjects presenting with symptoms suggestive of influenza, such as high fever, myalgias, or severe illness, were excluded. Individuals with URI who had taken any cough/cold medicines for their illness were excluded, as were those currently receiving any medication known to affect cough reflex sensitivity, or who had received any such medication within a time frame that would leave the possibility of a lingering effect of a previously-ingested medication on the sensitivity of the cough reflex. Upon enrollment, subjects were randomized to receive each of the three study formulations within a 3–5 days period, in random order, 2 h prior to capsaicin challenge testing, in a double-blind fashion. The study drugs consisted of: diphenhydramine (25 mg) and phenylephrine (10 mg) in a natural cocoa formulation (Dr. Cocoa, Infirst Healthcare, London, UK); dextromethorphan (30 mg) syrup with licorice and sugar water among inactive ingredients (Father John’s Medicine, Oakhurst Co., Levittown, NY, USA); and, a solution of dextrose in water. A post-ingestion period of 2 h was chosen to coincide with near-peak blood concentrations of diphenhydramine  and dextromethorphan [2, 13]. Study drugs were prepared as 20 ml liquid doses in opaque bottles that each subject was instructed to drink, without commenting on the taste or smell of the liquid. The investigators therefore were unaware of the appearance, smell, and other characteristics of the study drugs administered. Capsaicin cough challenge was performed as previously described . Briefly, subjects inhaled single, vital-capacity breaths of ascending, doubling concentrations (range 0.49–1000 μM) of aerosolized capsaicin solution, administered via a compressed air-driven nebulizer controlled by a dosimeter, with 1-min intervals between inhalations, until 5 or more coughs resulted in the 15 s following an inhalation. Placebo saline breaths were randomly interspersed between capsaicin doses to increase challenge blindness. The end point of capsaicin challenge testing is the concentration of capsaicin inducing 5 or more coughs (C5). To evaluate the effect of each of the three study formulations, differences in log C5 responses were analyzed by 1-way ANOVA for dependent samples combined with Tukey’s HSD test for pairwise comparisons. Twenty-two subjects [16 females; mean age 39.2 ± 13.3(SD) year] were recruited and completed the study. Mean(± SD) log C5 values observed after administration of each of the study drugs were: 0.57 ± 0.75 after placebo; 0.80 ± 0.83 after dextromethorphan; and, 0.97 ± 0.74 after the diphenhydramine-containing formulation (Fig. 1). Differences in log C5 responses were analyzed by 1-way ANOVA for dependent samples combined with Tukey’s HSD test for pairwise comparisons. A significant difference (p = 0.0024) was established among the groups, with pairwise analysis revealing a significant increase in mean log C5 [0.4 ± 0.55(SD); p < 0.01] for the diphenhydramine-containing medication versus placebo, but not for dextromethorphan versus placebo. In terms of side effects, five subjects reported slight drowsiness after ingesting the diphenhydramine-containing formulation, as did one subject after placebo. Five subjects reported side effects after ingesting the dextromethorphan syrup: slight drowsiness in two subjects, slight nausea in two subjects, and dry mouth in one subject. In the United States, the majority of OTC cough preparations contain dextromethorphan or diphenhydramine as the pharmacologically active component. Significant criticism has been directed at the OTC cough and cold market because of the lack of adequately performed clinical trials demonstrating these agents to be effective antitussives [2.7]. To the authors’ knowledge, this study represents the first demonstration of the ability of diphenhydramine to suppress cough reflex sensitivity in subjects with acute URI. Furthermore, the diphenhydramine-containing formulation proved a more effective antitussive than did dextromethorphan, with both agents administered at standard antitussive doses. However, it should be noted that cough reflex sensitivity was measured 2 h after study drug administration, to coincide with near-peak blood concentrations of the agents under investigation. 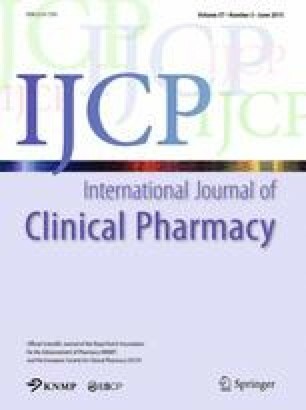 Such timing of the cough challenge may not have allowed demonstration of the maximal antitussive effect of dextromethorphan, as a recent study of healthy volunteers found that maximal inhibition of capsaicin cough sensitivity by dextromethorphan was not observed until 6 h after oral administration . The multicomponent diphenhydramine-containing syrup investigated in this study also contains the decongestant phenylephrine at standard OTC dose as well as natural cocoa flavoring. To our knowledge, phenylephrine has never been suggested or demonstrated to have an antitussive effect. Theobromine, a component of cocoa, has been shown to have antitussive effect in healthy volunteers in one previous study , however, the amount of theobromine contained in one dose of the medication evaluated herein is much smaller than that required for cough reflex inhibition. Nevertheless, the thickness and cocoa flavor of the diphenhydramine-containing formulation may be contributing to the overall efficacy of the medication by creating a demulcent effect that has been proposed as an important component of the perceived therapeutic effect of cough syrups . The three liquid formulations investigated were not able to be perfectly blinded. The diphenhydramine-containing syrup contained a natural cocoa flavoring; the dextromethorphan-containing syrup contained licorice and sugar water; and, the placebo was a dextrose solution. However, we do not feel that the lack of perfect blinding affected our results. Subjects knew that during the three study days, they would be receiving two active medications and a placebo. They were unaware, of course, of which flavorings the active and placebo formulations would have. Furthermore, this study did not measure subjective end points. Had subjective end points been examined, especially soon after drug administration, then certainly the possibility of a demulcent effect of the various liquids may have contributed to subject perception and experience . However, our study measured only the objective end point of cough reflex sensitivity to capsaicin, 2 h after study drug administration, by which time any local throat sensations and demulcent effects would have dissipated. It is noteworthy that a recent study demonstrated that sweet substances can affect cough reflex sensitivity to capsaicin . Thus, our placebo preparation was also sweetened so as to present subjects with sweet liquids on each of the 3 days of testing. Although the first-generation antihistamine, diphenhydramine, is classified as an antitussive by the FDA and is a component of numerous OTC cough and cold preparations, the present study, to our knowledge, contributes the initial evidence demonstrating the ability of this agent to inhibit cough reflex sensitivity in acute pathological cough. Further clinical trials are needed to adequately evaluate this and other OTC cough and cold products, so as to allow physicians and consumers alike to make informed treatment decisions based on proper scientific data. Infirst Healthcare Ltd., London, UK. This study was supported by an unrestricted grant from Infirst Healthcare Ltd. PVD has served as a consultant to, and JB and WC-W are employees of, Infirst Healthcare Ltd. SD, AJ, and YG have no conflicts of interest.